We Jaivik Crop Care LLP have exhausted momentous time in the field of crop protection which assumes a remarkable part in the region of Agriculture. 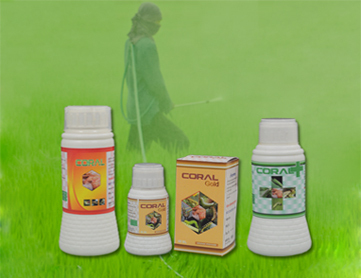 We are distinguished as the leading organization in the market as Agricultural Pesticide Manufacturer. As agribusiness assumes a basic part in the creation of our every day demolish sustenance. We are manufacturing different types of agricultural pesticide which is used to in the farm to safe guard the crops from various insects, weeds and so on. Ingredients of Agricultural Pesticide are high concentration of plant alkaloids and salt of fatty acid with necessary plant growth regulator. These advanced pesticides are utilized to enhance the nourishment security from the insects and weeds, and to improve the gauges in the nature of grains. We are even engaged in manufacturing the pesticides which incorporates Herbicides, Fungicide, Plant Growth Regulator and seed treatment. We are developing the products by keeping in mind every aspect of crop protection. These pesticides do not harm the fertility of soil and helps to remove the micro pests from the soil. We are delivering varied doses of Agricultural Pesticides which can use as per the instructions mentioned in the brochure.